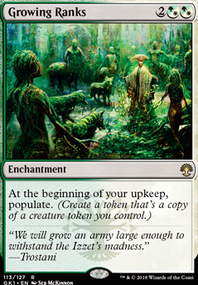 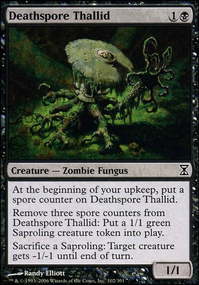 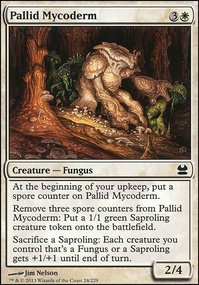 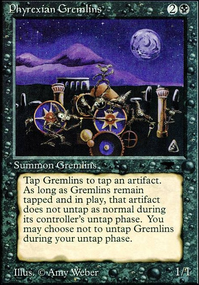 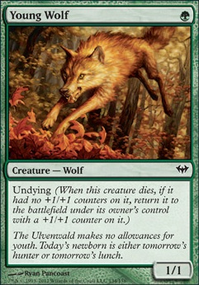 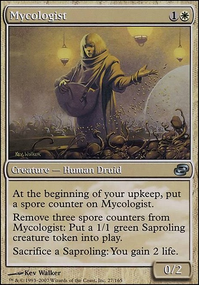 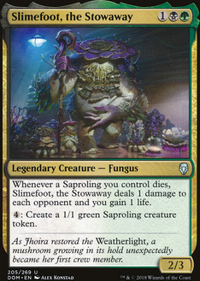 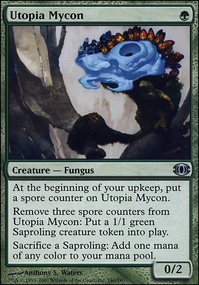 , Remove a +1/+1 counter from a creature you control: Create a 1/1 green Saproling creature token. With Ghave, Guru of Spores you wouldn’t need to drop anything and it offers you plenty of ways to go. 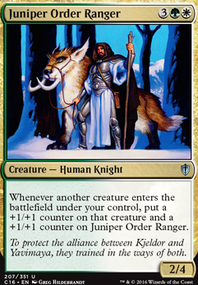 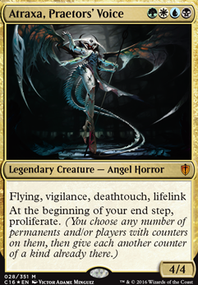 Very fun and strong Commander (speaking as someone who often plays against it). 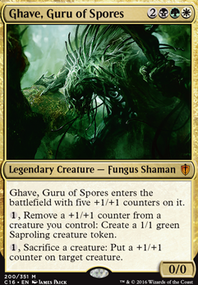 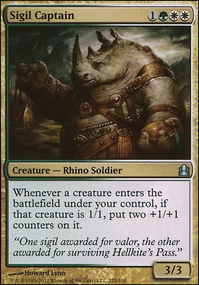 I recently put together a Ghave, Guru of Spores abzan lands matter list and I discovered that if you have Retreat to Kazandu / Mazirek, Kraul Death Priest , Squandered Resources , Life and Limb , and Ghave on the board you can get infinite landfall triggers. 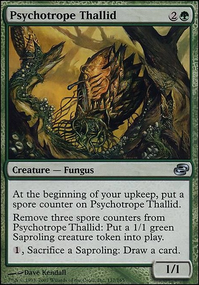 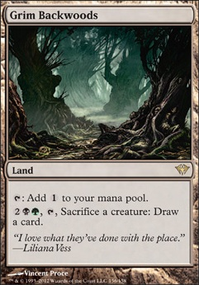 Activate Ghave creating a saproling, the saproling enters as a land because of Life and Limb , which triggers landfall on Retreat to Kazandu putting a +1/+1 counter on Ghave. 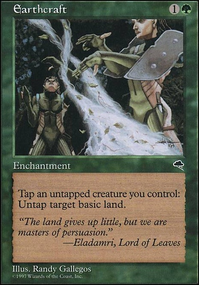 Then sac the saproland to Squandered Resources for a , which you use to activate Ghave again. 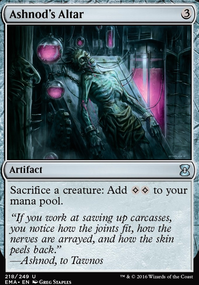 If you have Lotus Cobra it also nets you infinite mana.